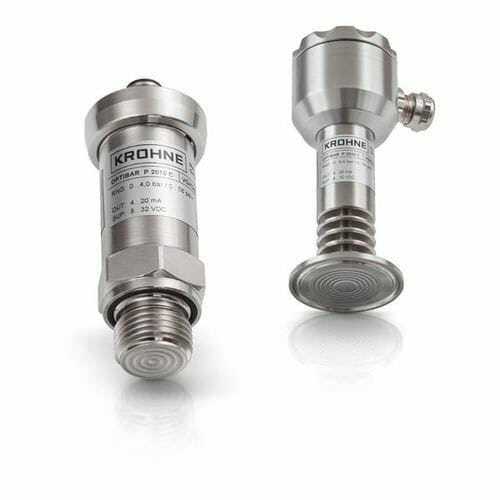 The OPTIBAR P 2010 C pressure transmitter was specifically designed with the requirements of both the food and pharmaceutical industries in mind. It is perfectly suited for cavity-free instrumentation, providing a repeatable measuring signal that is stable over the long term, even with regular SIP/CIP cleaning, while simultaneously guaranteeing a high degree of chemical resistance to process and cleaning solutions. The modular design of the device makes it possible to combine a wide range of fully welded process connections with a variety of filling media and electrical connections in a way that can accommodate virtually any industrial hygienic process technology requirement. Additional cooling fins can be added at any time for process temperatures higher than 150°C / 302°F.